Merry Christmas! How About Some PKS Reduction ? A school district has many little problems that arise, details it must contend with to keep the whole enterprise humming. A lot of what needs to be done is routine clearing out of miscellaneous detritus and clutter that tends to build up... like PKS for instance. 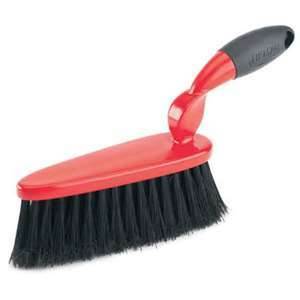 The Emery Unified School District recently informed the Tattler they're ready to clean the place up by getting rid of the extra PKS. In the spirit of full disclosure and total transparency, Emery Unified lets Emeryville residents and the surrounding community know about pretty much everything about the day to day running of the schools, including the minutia like reducing the PKS. We've noticed they don't make a big deal about it probably because they feel the parent, guardian and citizen stakeholders need to keep focused on the bigger issues facing the District but the fact that Emery puts PKS reductions on the public School Board agendas shows the level of commitment this District has to properly informing the public. We do appreciate knowing about little problems like too much PKS building up and the requisite trimming and clearing out performed by the Board. For the uninitiated, learn about the troublesome PKS build up HERE. Let's Clean This Place Up! Don't be concerned, It's just a little PKS reduction. Just tidying up... really there's no need to pay attention even. Emery Unified School District's Superintendent raised the specter of another round of possible teacher lay-offs looming next year piled on top of large budget cuts, including lay-offs handed down in 2012. In a recent interview, Superintendent Debbra Lindo told the Tattler the beleaguered district may have to resort to lay-offs to "allay structural deficit problems." If the district did indeed resort to another round of lay-offs, it would come on top of teacher cuts already made by the district last summer. 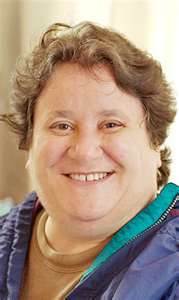 In spite of the distressing news, the Superintendent noted she's hopeful about the District's long term economic health even though cuts may be inevitable in the short term, "When a school district is striving to address its structural deficit, there are several options that a [School] Board may consider. Furlough days, a shortened school year, reductions in teacher hours and/or lay-offs are all options that must be considered. That being said, because of all the tough work we did last year and the passage of Proposition 30, we're in much better shape than we had anticipated. We're hopeful there will be minimal impacts to the classrooms" she said. 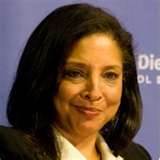 Superintendent Lindo has been the target of ire from virtually the entire staff of teachers at the school district since she was hired by the Board of Trustees in June 2011. The teachers released a 'Teachers Resolution' excoriating Ms Lindo last June that was answered by the Board in a letter of full support of the Superintendent. Since the impasse, Ms Lindo told the Tattler she has been working to restore the trust and respect of the teachers, "We've fixed that. Things are much better" she said of the teacher's enmity revealed by the Teachers Resolution. A District official said it would be some months before any teacher furloughs or lay-offs would be imposed and only then not until the public has been apprised and allowed to weigh in. So Should We Not Have Paths? Last week, the Emeryville city council voted NO to two bike/pedstrian paths that the General Plan says should be installed. The council faced angry neighbors, so they're going to amend the General Plan to get rid of the two paths. It seems a rash decision, even though we recognize there's a cynical logic to it. Think about it...if you live right next to a public bike/pedestrian path there's going to be some downside: noise, litter, lessening of privacy and possible criminal activity. It's understandable how people that live near these paths would think the downside outweighs the upside. But what about everyone else? Well, for them, a bike/ped path in their neighborhood would be just upside. So how should a city council decide about the fate of such paths? In our city, the city council listens to the complainers, not everyone else...at least when it comes time to consider a bike/ped path. The council has its own upside/downside calculations to make. The upside for the council is they get to mollify angry neighbors, the down side is...well there's no downside to saying NO to these paths. Without a newspaper in town and as a result of the general ignorance among the residents about how the council conducts the public's business; the council takes the path...the path of least resistance. But is the general public being well served by this kind of politics? We don't think the city council should be able to cheapen the public realm and get away clean like they do. We think there should be a price to be paid for disregarding the general public's interests just like there's a price they must pay when they go against angry residents at the council chambers. Otherwise, we get the kind of town we now find ourselves in, politics conducted by cowardly council members controlled by the lowest common denominator. We expect the council to try to work with angry residents who may feel put upon by the imposition of a public amenity such as these paths represent. Compromising can be done to help ameliorate the worst effects on the immediate neighbors. Things like building privacy and sound walls, not allowing hiding places for criminals, lighting that doesn't bleed into private property, and so on. Depriving Emeryville residents of much needed and wanted bike/ped connections like the council is doing is a low minded, knee-jerk reaction that should not be tolerated. And what of our new General Plan that informs the council on how to build a connected city? Is this the kind of piddling and political amending we should be doing? Again, we say no. A man was shot and killed in Emeryville Friday night, police said Saturday. The shooting occurred around 9:25 p.m. in the 1300 block of 65th Street in Emeryville. An investigation into the murder is underway. Anyone with information about the killing is asked to call Emeryville police Sgt. Diotalevi or Detective Krimsky at (510) 596-3731 or (510) 596-3774. The city council moved Tuesday night to kill two bike/pedestrian paths in east Emeryville after neighbors abutting the paths complained. Both paths are identified by the General Plan as crucial for much needed bike/pedestrian connectivity, adding fire to growing charges that the new Plan lacks teeth and without enforceability, it is simply being ignored. One path, informally called the EBI Path (or Escuela Bilingue Internacional), named for the private school on the east side of San Pablo Avenue, is proposed to be located behind that school and connects 47th and 45th streets. Center of Community Life looking west. 47th Street on the left and 53rd Street on the right. The other path called the ECCL Path (or Emeryville Center of Community Life) is on the west side of San Pablo Avenue, and is to be located behind the school/community center. It connects 53rd and 47th streets. The ECCL Path is in an identified "Pedestrian Priority Zone", a special region where extra provisions and deference should be considered for pedestrians according to the General Plan. 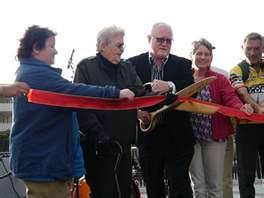 The two paths are part of the General Plan's goal to deliver better connectivity for residents that was vetted by citizens and city planning professionals over a five year period ending in a city council approval in 2010. The Plan received an award in 2010 for its highly democratic vetting and identifies one of the biggest problems with Emeryville is the lack of connectivity for bicyclists and pedestrians. The council said they changed their minds about the two paths after they received complaints from residents near the proposed paths. The ECCL Path received complaints from residents at Emery Bay Village, a housing complex abutting it to the west and the EBI Path received complaints from Triangle residents adjacent to that path. The General Plan will have to be amended to officially kill the two paths, a process that will involve the Pedestrian/Bike Committee and the Transportation Committee. It is expected to take some months. The Plan, already amended numerous times mostly to accommodate business interests, is expected to guide Emeryville for 25 years. It cost some $2 million outright and another $2 million in city staff time according to city officials. Self identified family friendly housing champion councilwoman Jennifer West said it best: after decades of a failed housing policy that brought far too many lofts and one bedroom condos, Emeryville not only needs to start building family friendly housing units, it needs to do so at a pace that far outstrips the lofts and one bedroom units in order to get to the correct ratio of family friendly units for the whole town. The schools need support she reminded us. At this point, we need to build pretty much nothing but family friendly units to catch up, she said to the cameras. The way this is going to get done she added, is by a "new paradigm" from the city council. Ms West said all this and then she proceeded to vote for a housing project made up mostly of lofts and one bedroom units. Ms West's non sequiturs might have seemed entertaining but it was the bellicose language from Ruth Atkin that really stood out. Formerly a reliable council voter in the developers pocket, a seemingly changed council member Atkin was adamant; "51% of households in town are single resident" she railed. With the cameras rolling, she scolded the developer and her recalcitrant colleagues, "It's not in the best interest of Emeryville to build more studios and one bedroom units." She said she owed her constituents a town with proper housing for families. She was outraged....and then she voted for the same loft/condo project. As reported by the Tattler, the bone thrown by the developer in the form of some playground equipment as a way to mollify concerns raised by the two women to attract families was a pittance, and not very convincing cover for the vote change. The Part A and Part B, didactic speech then contrary vote were separated by two weeks and seemingly two philosophies. The Tattler worried in another earlier story that the developer in question, Madison Park, would pressure the swing voter Ms Atkin, to accept the project by the time of the repeat vote but perhaps pressure was not needed. Perhaps Part A was for the benefit of the cameras with the quid pro quo Part B following as planned. It would be a win-win: the developer gets his project and the council member gets to be seen boldly standing for the residents interests. Madison Park is a quick study, as far as developers go. The presentation team made generous reference to kids and families, sometimes even at inappropriate moments. In fact it was kids this and kids that, wall to wall kids. They know the fire alarm and they played their part, if inelegantly. It all is likely a harbinger of the way development is going to be moving forward in Emeryville, at least on the rhetoric front. We are irritated by the way Councilwoman West left her colleague Jac Asher hanging on the vine. Ms Asher did no reversal from two weeks ago, she held out for a real family friendly project but after Ms West approved the project, now re-imagined as family friendly if the hype is to be believed, Ms Asher has now been turned into some kind of radical; all alone with her stubborn insistence on what Ms West (and Ms Atkin) previously insisted upon. After her reversal vote, Ms West made one particularly irksome pronouncement; she said if this project were newly coming before her, not having been previously approved, "there's no way I'd support it." There's something very galling about that fatuous statement. The project IS before you. If you like it vote for it if you don't then don't. We want to shout out just vote your vote and quit with the hyperbolic theatrics. Don't ply us with such cheaply bought sermons after the fact. In the final analysis though it doesn't really matter if these politicians played politics with this family friendly housing shtick. To get to the ratio council member West made reference to, we'd have to get nothing but families from here on out and that's not a possibility even if we had a sympathetic council. There's clearly however going to be a lot of BS talk from everybody at City Hall about the need for family friendly housing from now on, spewing from every City Hall sycophant. We're tuning it out...talk's cheap. 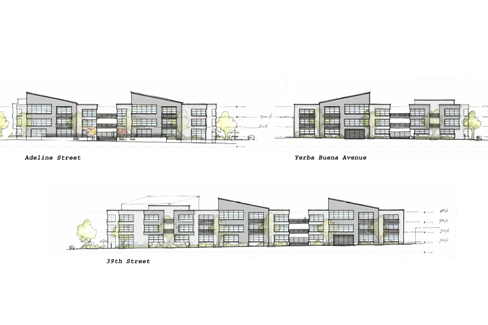 Tonight the Emeryville city council voted 4-1 to allow loft developer Madison Park a fifth year of time extension to start their previously approved housing project at 3900 Adeline Street. At the December 4th council meeting, councilwoman Ruth Atkin shocked attendees when she sided with colleagues Jennifer West and Jac Asher and voted NO to the time extension request. The council ultimately decided on the 4th, to wait until tonight to try the vote again for Madison Park. Council member West joined with Ms Atkin stating the project had been made "more family friendly" in the intervening two weeks by the developer agreeing to providing a car share parking space, a 'play dome' for "adults and children" in the courtyard central space and other such minor adjustments. The developer made a presentation filled with references to children and the schools, an effort to placate the admonitions about the council's duty to provide family friendly housing from Ms Atkins at the previous meeting. Mayor Brinkman, interestingly, told attendees at the previous meeting that it was unfair to the developer to not automatically grant an extension for another year. Tonight's vote gives the developer another year to start the project, something CEO John Protopappas says he's having a hard time with owing to difficult financing. The project, on hold since 2009, calls for the demolition of an historically significant building. The Emeryville Property Owners Association has agreed to host a town hall meeting to facilitate dialogue and debate surrounding the city's plan to alter parking policy in the North Hollis area. Residents in the North Hollis area have been negatively impacted by new development over the years in the neighborhood and tempers have been fraying. Daytime parking has been dramatically impacted and long time residents without off street parking have taken a major hit. The meeting is scheduled for Saturday January 12th between 10 and 11:15 AM. Council members have shown interest in attending and member Jennifer West has agreed to speak. The UPOA group said the primary reason for the meeting is to empower citizens and solicit their opinions to forward to City Hall. The tentative meeting location is the Ralph Hawley Middle School auditorium at 1275 61st Street. The EPOA site and more about the meeting is HERE. Emeryville's city employee compensation information can be accessed HERE. SACRAMENTO – State Controller John Chiang has updated his compensation website, publicpay.ca.gov, to show the salary, pension benefits and other compensation amounts for city and county employees in 2011. Today's posting includes submissions from 462 cities and 53 counties, totaling more than $37.6 billion. This update follows a complete redesign of the website, which now offers analytical tools, map-based searches, trend analyses, chart and graph builders and direct access to the entire payroll database. The update also provides more data than offered in earlier versions. The latest additions include (1) a detailed breakdown of actual wages paid, including regular pay, overtime, lump sum cash outs of vacation and sick leave, bonuses, and other pay subject to Medicare taxes; and (2) the employer's share of pension costs. The site was originally created by Controller Chiang in late 2010, after he ordered local governments to provide salary and other compensation information for their employees to his office. The Controller's website includes data from cities, counties, special districts, California State Universities, Community Colleges, and the State itself. For the calendar year 2010, the wages for more than 1.5 million public positions were made available. More than 622,179 positions have been posted for calendar year 2011. For today's posting, 17 cities and 3 counties did not file in time, or filed incomplete records. Any employer payments for the employee's health, vision and dental premium benefits. A list of agencies that failed to file payroll records with the State can also be found on the Controller's website. Each non-complying agency could face a penalty of up to $5,000. For a complete schedule of future updates, click here. It's reliably unceasing: Emeryville council members Kurt Brinkman and Nora Davis feel developer's pain. What's new and exciting is Councilwoman Ruth Atkin, formerly in that club, is of late, feeling the resident's pain. And she's putting votes in the resident's column, using her potent status as the swing voter on the council to great effect. 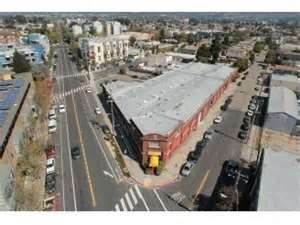 The new politics were made manifest at the last city council meeting when loft developer John Protopappas, CEO of Madision Park, an Oakland based development corporation, asked permission to once again, delay start of their proposed loft/codo project at 3900 Adeline Street. This type of thing is usually a formality for developers here in Emeryville. Ms Atkin instead joined her deeply skeptical colleagues Jennifer West and Jac Asher. Had Ruth Atkin played her traditional role and permission been given for 3900 Adeline, it would have been year five of time extensions granted by the council for this housing project. Mr Protopappas, who says he's having difficulty financing this project, has kept it on hold since 2009. The council ultimatly voted to vote again in two weeks, giving Mr Protopappas another bite at the apple this Tuesday. The project calls for the demolition of an historically and architecturally significant building, something the General Plan counsels against, and the new building, another 'podium' building, a drive-in-drive-out model that turns it's back on the street is a bad model for moving forward in Emeryville critics say. The biggest problem with Madison Park's Adeline Street project however is that the project adds to the plethora of lofts and one bedroom units and contributes to the lack of pro family housing according to the new council majority. Mr Protopappas was probably expecting another extension to be granted, locking away the land for for his exclusive use for another year, but not this time as it turned out. This time, only Mayor Brinkman and Ms Davis were willing to give the developer another chance. Council member Brinkman provided his reliable second to Nora Davis' motion to grant approval for another year but the surprise this time was councilwoman Ruth Atkin's NO vote. Ms Atkin told the attendees at the meeting the project should be changed to include more affordable three bedroom units. Emeryville really does need more family friendly housing she said, a charge poo-pooed by Mr Brinkman and Ms Davis. Mayor Brinkman focused instead on the developer's needs. The General Plan says it should not be demolished. He said the three council member majority were being unfair to Madison Park, "I support this project because I don't feel that it's fair to make these guys [Madison Park] redo this project that was previously approved." Councilwoman West said although the council had previously approved the project and time extensions, including her, that Emeryville has changed, "There's been a paradigm shift in the way we look at development and meeting our [housing] needs" she said. Ms Davis, on the other hand noted the paradigm shift has been the loss of the Redevelopment Agency and how that has made Emeryville desperate. She said developers want to build lofts and one bedroom units and we are not in any position to say no, "It's to our peril to demonstrate a bias against single resident housing" she noted as a rejoinder. 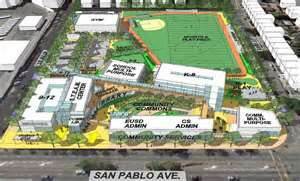 Ms Atkin responded, "It's not in the best interest of Emeryville to build more studios and one bedroom units." Nora Davis seemed to equate the council majority holding out for a better project as somehow overly emotional, "[In two weeks] let's see if cooler heads prevail" she said, invoking her position as the rational position . requests are not automatically renewed. Mayor Kurt Brinkman and his sidekick Nora Davis want to leave a important mechanism to attend to the residents needs on the table at these meetings: that mechanism is their votes on our behalf. As Mr Brinkman implied by his "unfair" statement, developers should automatically get extensions whenever they want them. Every development proposal should be good for at least five years and the resident's interests should not be a part of the equation according to these two. We wonder how precisely it's unfair to Madison Park Development when they haven't even broken ground in four years. This developer has nothing to lose by the council renegotiating this valuable piece of land on behalf of the residents, except the continuation of a guarantee for more time and the continuation of a right of exclusivity. It violates the new General Plan and it's requirement to engage in adaptive re-use of historic and architecturally significant buildings. It delivers more lofts and one bedroom units in a town that already has too much of that. It robs the new school of children, giving the public infrastructure investment a reduced chance of success. It's yet another podium development in a town with far too much of that. We need residents with eyes and bodies on the streets for safety and vitality. We need fewer drivers clogging our streets, putting the pressure on the council to respond by widening the streets. She's kept her promise...so far. Council member Atkin has been a strong supporter of the Center of Community Life and its school rebuild and she knows Emeryville needs to attract more families if that project is to succeed. We're happy to see Ms Atkin follow through with her pledge to bring more family housing to Emeryville. We recognize Ms Atkin will be under tremendous pressure to buckle under and vote to support the developer's extension request in time for Tuesday's council meeting. We don't know what form that pressure is taking but we can imagine it must be extreme. We urge Ruth Atkin to hold firm for the resident's sake and for the sake of our new schools. The final decision will be made at the council chambers on Tuesday, December 18th. As the amply paid Superintendent of the Emery Unified School District and the School Board of Trustees prepare for another round of teacher lay-offs to help balance the budget we would be well advised to ask, who are public school teachers? Are they worth so little here at Emery Unified that we should not even acknowledge their grievances? Is the list of those grievances enumerated in their Emery Teachers Resolution not worth a response? It's revealing the low esteem the Emery School Board holds for our teachers when they read aloud a resolution of their own, supporting the Superintendent, as an answer, after the reading by teachers of the Teachers Resolution, a document of grievances about the Superintendent. Our School District may have disdain for the teachers here but for parents, they recognize it's public school teachers that do the actual hard work, the deeply progressive work of educating our children all for barely enough to make ends meet, if that even. We're appreciative. We support the Emery Teachers Association, the teachers union. We think teachers are heroes. America’s Teachers: Heroes or Greedy Moochers at the Public Trough? I’ll be brief here. Let’s just note that the heroic teachers who died while courageously trying to protect their kids at the Sandy Hook Elementary School in Newtown, CT, and the others who survived but stayed to protect the kids, were all part of a school system where the employees are members of the American Federation of Teachers. Let’s just let that sink in for a moment. Those teachers, who are routinely being accused by our politicians of being drones and selfish, incompetent money grubbers worried more about their pensions than about teaching our children (though most, even after 10 years, earn less than $55,000 a year for doing a very difficult job that involves at least 12-14 hours a day of work and prep time counting meetings with parents), stood their ground when confronted with a psychotic assailant armed with semi-automatic pistols and an automatic rifle, and protected their kids. The principal too, a veteran teacher herself, stood her ground, reportedly suicidally charging at the assailant along with the school’s psychologist in a doomed effort to tackle him and stop the carnage. How many of us would have had to the courage to stand in front of a closet door to keep an armed madman from finding the kids hidden behind it, as one slain teacher died doing? How many of us would charge at an armed shooter, to almost certain death, in an effort top stop him from further killing? How many would bravely hide in a bathroom with a class of kids when we could have run away and saved ourselves? And this: How many of the politicians in Washington and in state capitals and how many conservative think-tank “researchers” who attack teachers as leeches and drones would have shown such heroism under fire? My guess is damned few -- if any. Yet it appears from the news reports that not one teacher in that unionized school fled the scene and abandoned the children to their fate. They all stuck with their kids. So did the custodian -- no doubt a unionized worker earning poverty wages -- who ran through the building warning everyone of the attacker’s presence. Just a couple of weeks ago, the Newtown school board, like school boards all over this country, was considering cutting the school’s elementary music program and library program. It should be noted that both the school librarian and the school music teacher, whose jobs were on the line at the school board, stayed with the kids they were teaching when the attack began. You, as a public sector employee, don’t generate ANY revenue. Every penny of the budget of your public sector enterprise is TAKEN from producers. It’s other people’s money versus money your organization EARNED. Your salary is not market based. Your salary, nor your benefits, nor your job, is in jeopardy during contracting economic times. If I want a raise I have to prove I have contributed more to the bottom line, and then it doesn’t matter unless the entire firm has grown the bottom line sufficiently to give me that raise. You are insulated from that reality. Your private (sic) sector salary only goes up. How is that fair? Especially in light of the fact that you don’t even generate the revenue that pays for your constantly rising salary? Some of those “non-revenue-generating” unionized teachers, and the school’s non-revenue-generating principal, just died defending those kids. I wonder if their tax-obsessed critics would have done the same?